* I just blog, write tutorials, and work at Network Marketing. I am officially retired (for the third and final time according to my wife). I LOVED my job! I had the occasional boss that was a jerk, but I felt quite fortunate that I was able to earn my way up the ranks, and actually had opportunities so numerous to count that most others did not have. After 32 years, I retired on the same day as 21,500 of my best friends and my whole network of contacts. I was 50 years old when I retired the first time. I had 32 years with the company (yes, do the math: I started right out of high school, age 18). 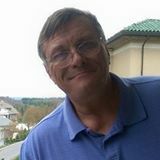 Five years before I retired, I had already started a part time venture doing real estate investing and property management, and I had started my consulting firm to teach new real estate investors how to do a business plan and get their companies started legally and officially with the correct zoning, certifications, licensing, and tax requirements. Even with all this going on, I was struggling. The family situation (caring for my mother-in-law with cancer and father-in-law with stage 4 Alzheimer’s) sucked up any severance I had gotten. And I was not making enough to pay the mortgage. Well, the timing was right for several extended auditing engagements (4-6 months away from home, traveling to and from various locations every week, working literally 90 hour weeks). I was having a hard time keeping up that pace. The money was good, in fact it had gotten us out of the financial hole we had dug, but I could not continue at that pace. As they say, this was a job for the pimply-face kids who are proud of that bright and shiny, brand new MBA, and let them start paying their dues as we had. I still continued my other businesses in addition to the extended auditing engagements. At every break, I would jump right back in to renovating properties. Then disaster struck. I broke my own rules: never use someone else’s ladders. My crew was late, and my ladder was on their truck. Hint: if you are intending to fly like Superman, don’t forget the cape. Ten days short of one year after I had retired, I had a very serious accident at one of my properties that had me down for 4 months. Even after I was cleared by the doctors to drive and do light duty work, I was having a hard time. I had to scale back on the hours, the travel, and had some substantial mobility challenges. It would be years of test after test, and a parade of doctors before we figured out the cause of the excruciating pain I had every day. Fortunately, the manager of the consulting division for a company that had done some work for me before I retired, called me up and asked, “would you like to do for others what we had done for you?”. There was no hesitation. It turns out that I was doing business cases, and “consultative selling” to multi-million dollar enterprise accounts. I LOVED that job. But it also involved a great deal of travel, which was physically challenging for me, as was the need to do physically strenuous activities that involved long hours of walking, bending, kneeling, etc. I kept going as long as I could, but some of the injuries were back to haunt me and in fact, my condition was deteriorating. Besides the ongoing challenges from the recent injuries, and some residual effects from a back injury 20+ years before, my knees were fighting hard for recognition as the winners of the pain contest. I had 3 knee surgeries before I was 20 and I had been suffering with bone-on-bone knee pain for 40 years. I was finally approved to get knee replacement, and as I was finishing up physical therapy after surgery I was notified that the company decided not to take me back. This was retirement #2. Again, I never did just ONE thing at a time, so at some point before they let me go, I had been doing some small business consulting on the side. My forte was in IT, so I was building the IT infrastructure for these companies and building websites for them. That’s how I got started in Internet marketing and the associated technologies like SEO. The hardware and software sales were keeping us alive, but these were small companies ALSO struggling, and the most I could hope for was adding the occasional laptop or printer. New clients were few and far between. Working with small businesses also has its drawbacks. I had one company (actually two divisions of the same company) default on thousands of dollars in hardware, software, service contracts, and support. The way this works is the dealer is expected to purchase the hardware and software, then add their margins and bill the customer. Well I got stuck with the cost of their whole IT infrastructure which I had fronted. I never charged for consulting, and the service contracts were only several months into it so I was able to cancel them, but I was still holding the bag for the hardware and software. The income (which I was depending on) for support contracts went away too. This company eventually reorganized, and I at least got some of my money back (after 1 1/2 years) for the hardware and software, but the loss of those contracts was quite a hit. And, in addition, the locals for the unions had gotten involved, and yanked the possibility for me to do any more work for members of that local unless I used union labor. I had started several ventures into eCommerce, retail sales, and some internet marketing. I was not doing well on eBay — I simply ran out of junk I could sell, and I HATED yard sales and Craigs List. So, I started with some commercially developed, “monetized” websites and I had two 10,000 product eCommerce stores that worked out to be a complete bust. I started promoting some affiliate products, playing the safelist game and getting sucked into one “promise me everything” project after another. One business venture actually ended up with me as key witness for the FTC, who with my evidence, was able to get warrants for the FBI and Federal Marshals to bust a “boiler room” operation in which I lost over $25,000. I had done all my due diligence, their credentials all checked out, their business was properly registered, and I had Hoovers dossiers for each of the company principles. I was really concerned that I couldn’t contact my marketing manager, and could not get a straight answer for my questions. The clue that something was amiss was when I looked up their address, Google Earth zoomed in on a UPS Store in a strip mall. By that time, the operation had folded (with my money), the principles disappeared, and all that was left was a call center that took the calls, and did nothing with them. There was nothing left after the banks claimed THEIR money, so I was screwed. You know, it took me over two years to make my first dime online. My wife was VERY tolerant, and I was able to hide the true impact of some of my efforts from her, but I had started to liquidate stocks and pull from savings accounts to get things going and pay off the massive credit card debt I had created. There was a long learning curve, and I did the usual “bouncing” from one golden promise to another, until I settled in with several programs. I had one that showed me how to make money, SLOW AND STEADY. And then there were several at the same time that, if I stuck with it would generate some substantial income. It has been several years, and I am almost at the point where my internet marketing is “self sustaining”, meaning I am not pulling AS MUCH out of my personal budget to cover my costs. At first, I strayed from what I TAUGHT others: my business plan was a MESS. Once I regrouped and focused on my business plan, I saw tremendous improvement day after day. An existential statement: You Are Here!